2. 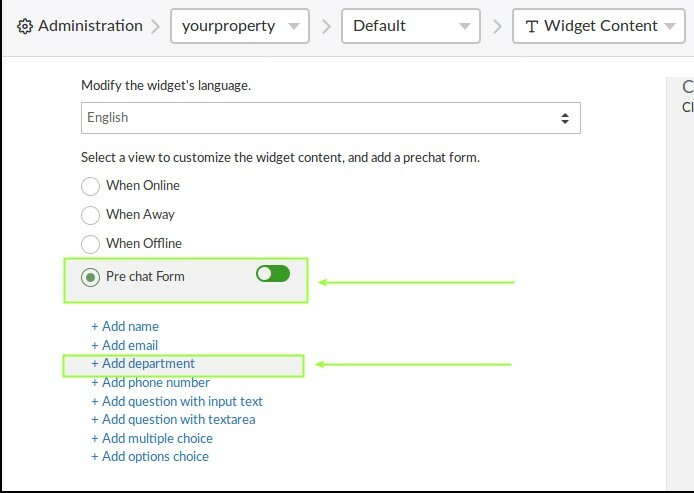 Select the Property to Add the Pre-Chat form to. 4. Select Pre-Chat form in the menu and then Click the Off Switch to On. 5. Click “+ Add Department” Option. Next setup the actual departments. 1. 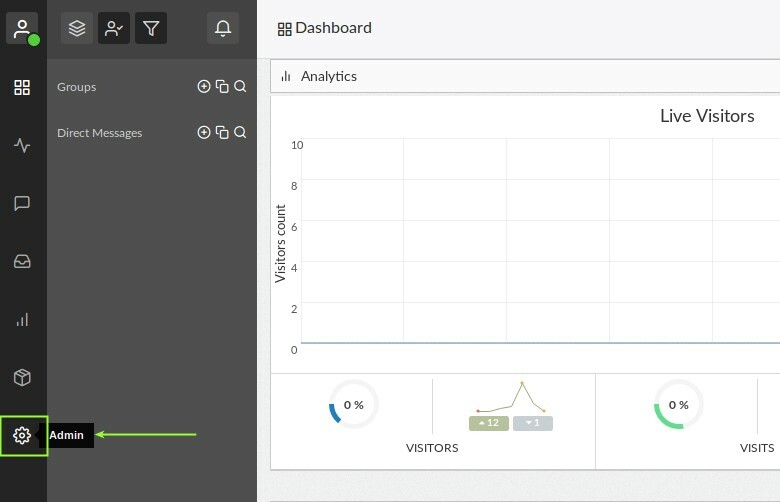 Go to Admin in the Sidebard of the Dashboard. 2. 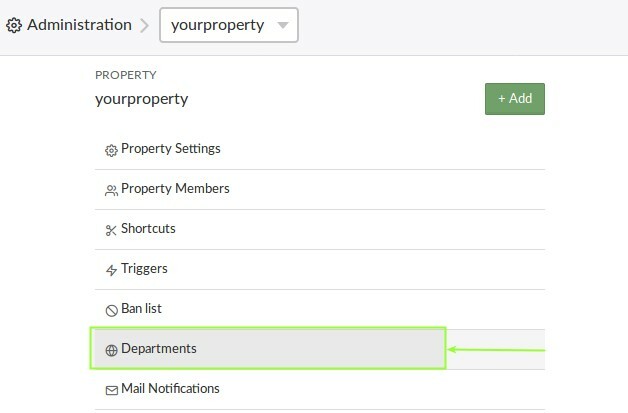 Choose the Property you want to add the Departments to from the dropdown menu. Then select the Departments option. 3. From the Departments Screen after you click Departments you can Add a New Department or Manage Existing Departments. 4. To Add a New Department click the Green Add Department button at the Top Right of the screen. Then name the department, enter a description and assign agents to the new department. Click Save.